THREE Young Lotfeeder of the Year competition finalists for 2016 will make presentations at the BeefEx feedlot conference on the Gold Coast next week. The finalists for the Performance Feeds Young Lotfeeder title – Jeff Schuller from Coonamble feedlot, Coonamble, NSW; Amanda Moohen from Wonga Plains feedlot, Irvingdale, QLD; and Emily Pollock from Gunnee feedlot, Delungra, NSW – were selected from twelve quality applications from around the country. The winner will be decided during next week’s BeefEx feedlot industry conference, the premier showcase for the grainfed beef industry, delivered by the Australian Lot Feeders Association. The award is designed to recognise, encourage and develop the future leaders of the lotfeeding industry, with each entrant asked to provide a solution to an industry issue. Jeff Schuller, who has grown up in the feedlot industry, has worked in the cattle industry for more than 10 years. Currently assistant manager at Coonamble feedlot, he has based his project on the connection of feedlots and producers with consumers. Addressing the issue of career progression for women in lotfeeding is Amanda Moohen, a corporate manager who has worked with the Camm Agricultural Group for six years. Ms Moohen plans to address her topic through the newly established Women of Lot Feeding group. Emily Pollock, who has experience on a cattle station in the Northern Territory, has now been working at Mort & Co’s Gunnee feedlot for the past five years. She has a passion for technical advances in the rural industry, and her presentation will be on exiting animals at optimum profitability endpoints. 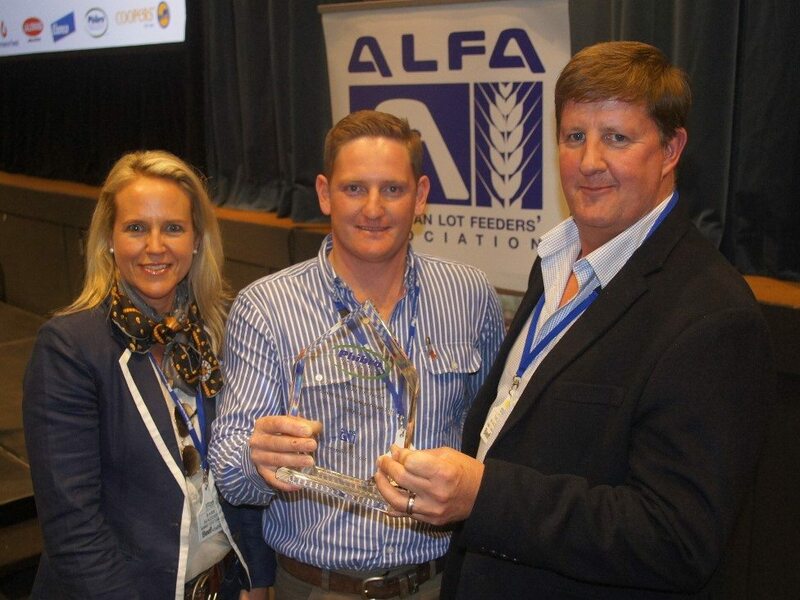 Last year during BeefWorks in Toowoomba, Smithfield feedlot’s Andrew Slack was judged Young Lotfeeder of the Year. 2015 Young Lotfeeder Andrew Slack is congratulated by Phibro’s Thomas Wakeford and Smithfield feedlot’s Barb Madden. General Manager of Performance Feeds, Scott Sloss said he was highly impressed with the quality of this year’s entrants. “This is a prestigious award with distinguished alumni, and we’re proud to be a part of this process and meet such an impressive group of young people who are so passionate about the future of lotfeeding,” he said. “We wish the finalists all the best in the final round of judging,” Mr Sloss said. Judging will take place at BeefEx at Royal Pines on the Gold Coast, with the award winner being announced on Thursday 13 October.